We are back in the saddle after last week in Charleston still glowing in the success and super feedback we got from our first Open Telephony Training Seminar. We couldn’t have been more please with the large turnout from so many attendees and vendors and putting faces to the forum names was very enjoyable. Having sold out over 2 weeks prior to the event we’ve had a lot of inquiries about the next one. We are scrambling to update the website and brochures and get out a newsletter mailing but there is no need to hold back if you want to jump the gun and make sure you don’t miss out on this next great event! We will be having the event in Las Vegas, NV at the Golden Nugget so you should be able to find cheap flights and reasonable hotel accommodations. In fact, for those first 10 participants who sign up for the full Extended Registration, we’ve got a GREAT SPECIAL that includes the full 4 day Extended Registration AND 4 nights at the Golden Nugget. These won’t last long so jump on that deal while they last! If you want to get a good idea on what the class is about, you can look at the existing course descriptions form the Charleston Event that we finished last week. 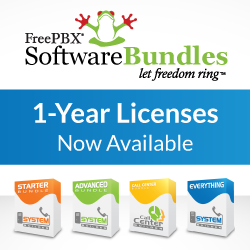 The changes we are making are to pull some of the Linux for PBX basics as well as a few parts of the FreePBX presentation into an optional “Day 0” so that more experienced attendees who have this background can choose whether or not they want the review. We will get it all sorted out in the course description but if you don’t want to wait for us to get our marketing material together and just want to assure you get one of the great combo deals then feel free to jump the gun and register now! We’ll be back with you shortly as we pull the material together and make a more formal announcement but for now, feel free to secure your space today! Previous PostNew Release is a Great Success – Las Vegas for Training?